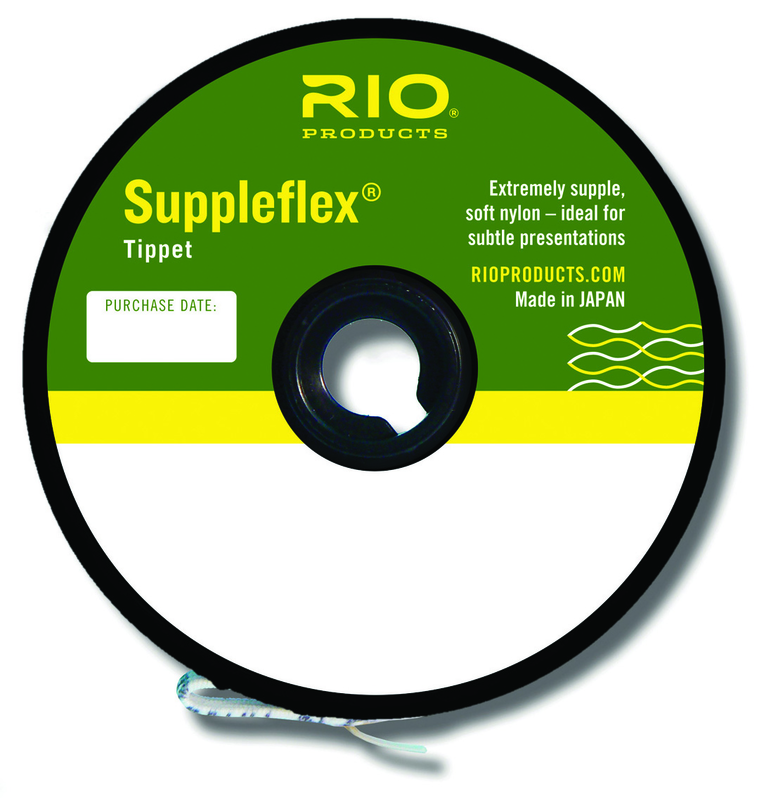 Description The Rio Suppleflex Freshwater Tippet is a the proper selection for fly anglers fishing glassy flows, mirror smooth lakes, and casting the the smallest dry flies, wets, and even flymphs to wary trout. 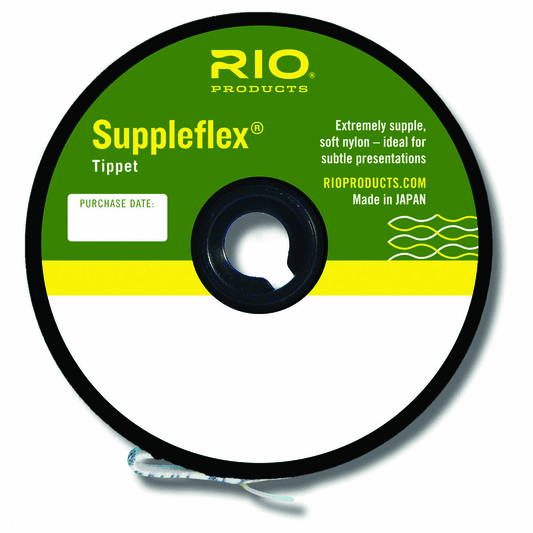 Guide Reviews, Video, and Sales on Rio Suppleflex Freshwater Tippet Spools Rio's answer to the leader tippet demands of anglers who fish tiny flies on glass-like surfaces to selective and spooky trout. This is a tippet reformulated for 2013. This is a very versatile nylon monofilament leader material that is supple yet strong for the test. Available in spools in 7X to 4X with break strengths from 2.0 Lb. - 6.1 Lb. break strength for use in delicate fly presentation scenarios.